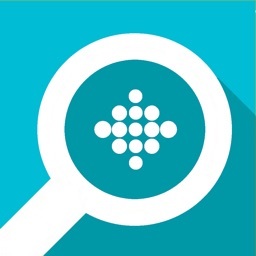 Finder for Fitbit - Find Now! The Original, Most Accurate And Precise "Find my Fitbit" App. Check For Yourself! We are so convinced that you will find your Fitbit, that we offer a FULL REFUND if your Fitbit is not found! You have nothing to lose except your Fitbit! Find my Fitbit works with your Fitbit Charge 3, Versa, Alta, Ace, Ionic, Alta HR, Charge 2, Charge HR, Charge, Blaze, Flex 2, Flex, One, Zip* and Surge. 5/5 by Nuclear Anemone – "Whew! Found it! 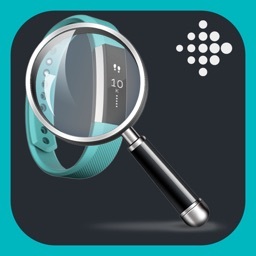 - Thanks to this app, I found my Fitbit in minutes. At first I couldn't get a reading, then after pressing 'help', following the simple steps, and trying again--voila! Great app!!" 5/5 by Cathro HMFC – "Found - Downloaded the App five minutes later found my Fitbit .. perfect"
5/5 by DWodarczyk – "Worth It - My couch swallowed my fitbit last week and i have not been able to find it. I didn't want to rip my whole couch apart! This app is so precise and showed me right where my fitbit was. Definitely worth three bucks." • Find your Fitbit fast, before it's battery dies. • Don't waste hundreds of dollars buying a new one. 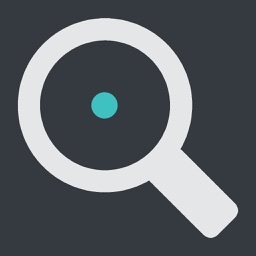 • Don't waste hours looking for your lost Fitbit when it's so fast finding it using this app. • Use it anytime you or your family loses a Fitbit. It's like insurance for Fitbits. • Easy and fun to use. Anyone, of any age, can use the app. 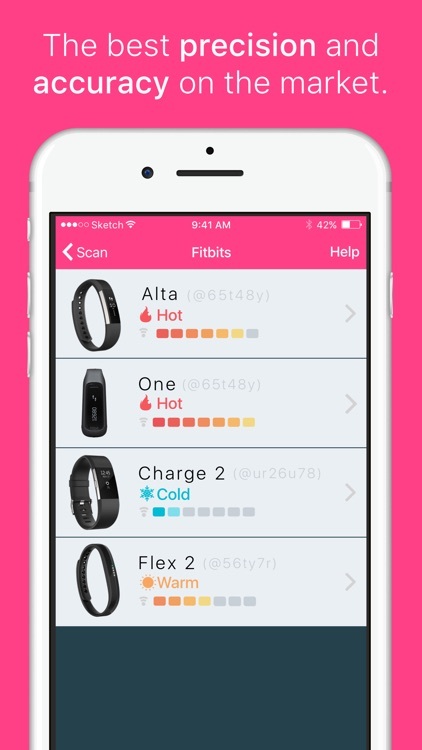 • The original, most reliable, and best reviewed "Find my Fitbit" app on the market. • The best accuracy and precision among similar apps. • The only one with audio feedback. • Easy to use and reliable, features an easy Hot/Warm/Cold display as well as a detailed signal graph. • Shows you the exact signal of your Fitbit. 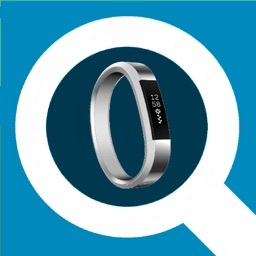 • Find my Fitbit is optimized for the Bluetooth internals of Fitbit devices. 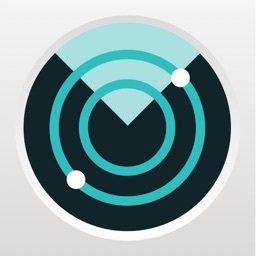 Find My Fitbit makes finding your lost Fitbit fun with the old Cold, Warmer, Hot game. • Walk around slowly. As you move closer to Fitbit you lost the signal will go up and the indicator will change from Cold to Warmer. 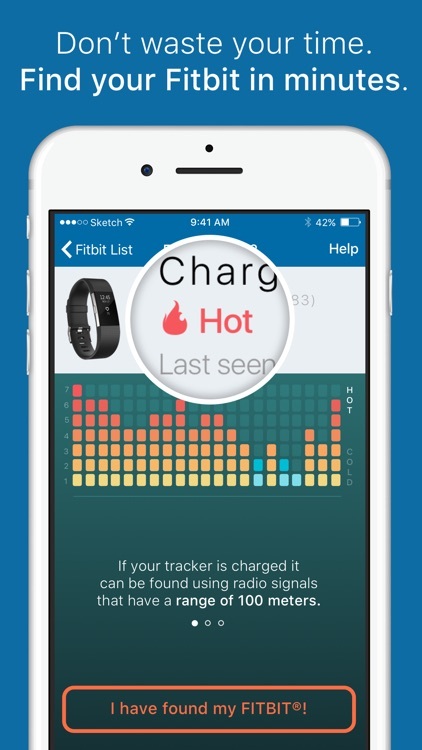 • When you are near your Fitbit the indicator will display Hot. It's as simple as that. You found your lost Fitbit! Read the app instructions for more help. For support go to http://www.findmyfitbit.com/support - Please email us before posting any negative review. • User-friendly and easy to use. No technical knowledge is required. Don't go to the store buy another Fitbit! "Find my Fitbit" is the best app to find your band in minutes! Soon you will be counting your steps again. 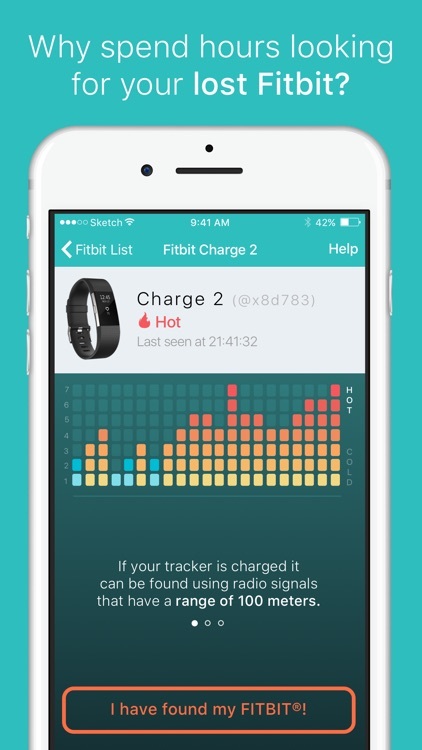 Don't wait until you lose your Fitbit, download the app now! 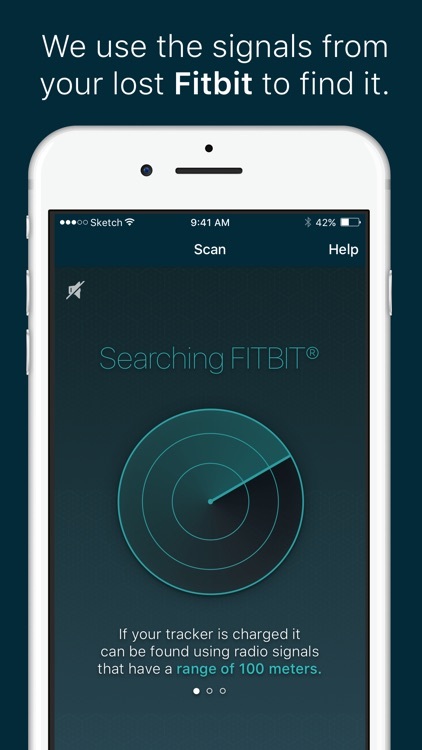 Try it today so you can find your Fitbit when it's lost.